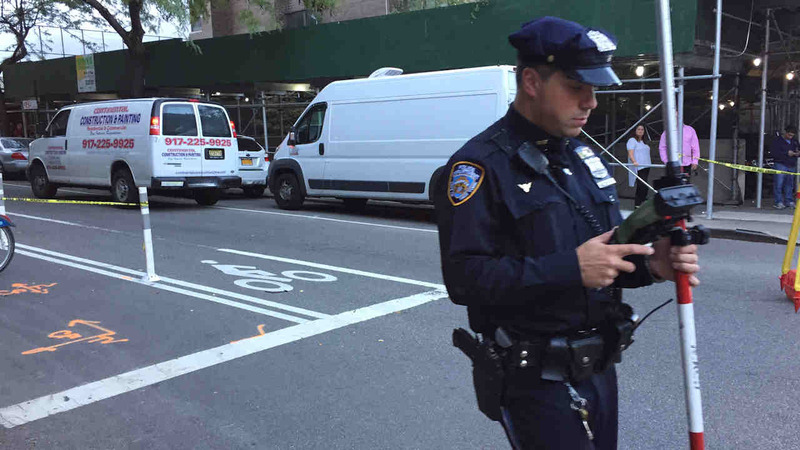 UPPER EAST SIDE, Manhattan (WABC) -- A woman was struck and killed while walking on the Upper East Side Friday afternoon. Around 3 p.m., police responded to a 911 call at York Avenue and 89th Street where they found a 73-year old woman unconscious on the street. The woman, identified as Blanca Pagan, of East 87th Street, was taken to New York Hospital where she later died. According to the New York City Police Department, she was in the crosswalk walking north on York Avenue when a white 2013 Chevy van made a right turn heading west on East 89th Street. She was hit in the crosswalk. The driver of the Chevy, Pjerin Gjerji, 48, of Yorktown, was arrested, and charged with failing to yield to a pedestrian and failure to exercise due care.